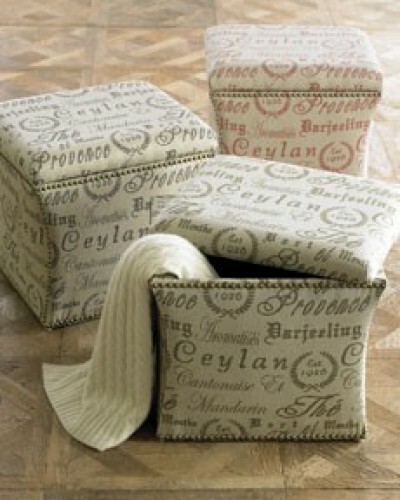 With French script pillows being all the rage you can imagine my delight in finding the same French script fabric on Horchows “Maison Script” Ottoman pictured below. This is a beautifully textured linen blend printed with all the top international spots you would love to sit and have a cup of coffee. Exclusive to Horchow, these sweet little ottomans at $399 each make a beautiful statement by themselves or two together as a coffee table. 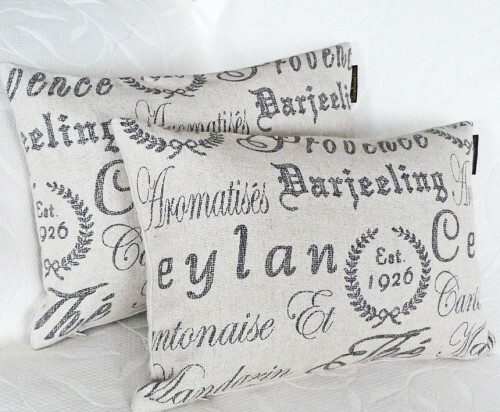 Or get the look with two or three matching pillows at $25 each at PillowThrowDecor on etsy. What a deal, eh?